About 45 minutes later, the House passed House Bill 1073 to implement those requirements. During floor debate Thursday, state Rep. Jay Houghton, R-Martinsburg, asked HB 1073's sponsor, Tony Dugger, R-Hartville, how easy it is to commit voter impersonation fraud in Missouri. "So I could be walking down a street, walking by somebody's trash can, pick up their electric bill, go walking down the street again, hand that electric bill to you, and ask you to go vote," Houghton asked. 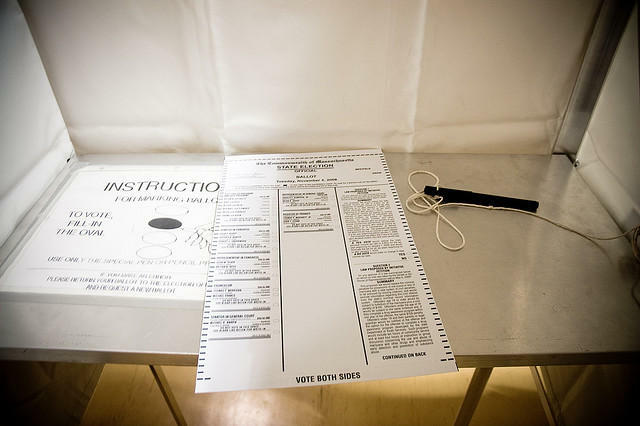 Democrats argued that voter impersonation fraud is not a problem in Missouri, citing the lack of prosecutions. Missouri Secretary of State Jason Kander has said that the photo-ID requirement would disenfranchise more than 200,000 voters who lack drivers licenses or have expired licenses. State Rep. Brandon Ellington, D-Kansas City, also said that the bills would inadvertently create a poll tax. "Because according to (House Bill 1073), it's 'subject upon appropriations,' (so) we're not providing free ID's," Ellington said. "I find it ironic that Missouri*, Kentucky*, Tennessee, North Carolina, Arkansas, Georgia, Alabama, Mississippi, (and) South Carolina (were) all part of the Confederacy, and these are the same states that (are) proposing photo ID laws." Some critics also have noted that people have to pay for the documents required to obtain drivers licenses, such as birth certificates and passports. House Joint Resolution 47 passed 103-50, and House Bill 1073 passed 98-49. Both votes fell along party lines. They now go to the Missouri Senate. Missouri Gov. Jay Nixon's signature is not required to put the proposed constitutional amendment on the ballot. But his approval would be needed to put the implementation measure into effect. The House vote on the implementation bill was less than the 109 votes needed to override a possible Nixon veto. Missouri lawmakers passed a photo ID requirement for voting in 2006, which was signed into law by Gov. Matt Blunt, a Republican, but it was later tossed out by the Missouri Supreme Court. Another photo ID implementation bill was passed in 2011, but was later vetoed by Nixon, a Democrat. 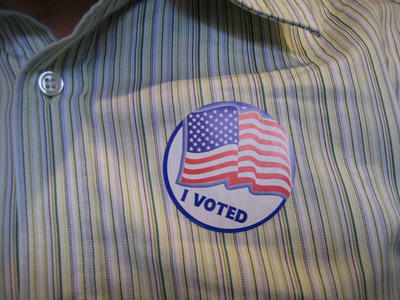 A judge tossed out a proposed constitutional amendment to allow photo IDs, which had been slated for the 2012 ballot. Before Missouri legislators can enact any sort of photo ID requirement for voters, they first must get voter approval to change the state constitution. Until the General Assembly approves a separate resolution to place the amendment before voters, any debate over specifics doesn't matter much. In fact, Missouri House Speaker Tim Jones predicts that the proposed constitutional amendment to allow photo-ID requirements for voters will likely be the only piece of photo ID legislation to pass this year. 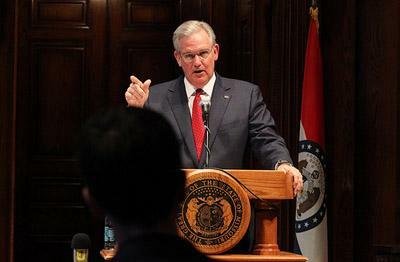 Missouri Governor Jay Nixon (D) vetoed Senate Bill 3 today, "which would have established requirements for advance voting and voter photo identification for elections," according to Nixon's website.